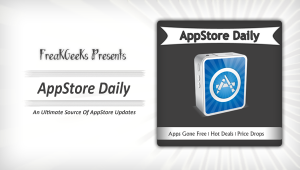 AppStore Daily Episode 3: AppsGoneFree, Hot Deals! All In One Tube! It was been a week ago that we have started our AppStore Daily service on our blog, the service that provides you a quick look of the Apple’s iOS App Store, and brings all the latest updates and offers on the board in clean section on where you don’t have to clutter down the non-wanted content. Many users liked the service, and suggesting us a lot of ideas to improve the overall performance. To those who have suggested us, we are working to improve the daily issue, and will soon bring more features on the board. In the meantime, enjoy the today’s crawled AppStore Daily episode! Stress Check is the most innovative tool available for quantifying your level of psychological or physical stress. By measuring your heart rate through the camera and light features on your iPhone, Stress Check can estimate your level of stress in real time. THE EFFECTS ARE MUSICAL! You can now play the happy birthday song using dog barks. You can play the theme to your favorite movie using chicken sounds. We’ve many spent hours pondering and creating the best sound effects to make you laugh all in perfect musical pitch! This program is a data base of all TV satellites in the world. You can easily find a satellite parameters. Holographium is an amazingly cool 3D light painting machine for your iPhone, iPod touch and iPad. It magically transforms text and symbols into hundreds of luminous 3D cross section scans. On a long exposure photograph, these scans appear like a hologram floating in space! Wood Clock 3D is an analog clock application. It is based on the structure of the real clock, which leads to its vividness. If you watch it closely, you will find its gear’s rotation is just the same as the real one. Super Teddy for Kids is composed of six applications, focused on developing children’s spoken English skills and language proficiency. To achieve this Hongen has brought Chinese and foreign early childhood education experts together in an effort to build an intuitive and comprehensive set of children English teaching materials that are fun to use. MIKO Moves Out is a part of the Auracle line from Auryn. The app is based on Brigitte Weninger, Stephanie Roehe’s book by the same name, illustrated by Stephanie Roehe. It is the eighth and last book app of the famous Miko series. Up to TEN PLAYERS can play on one iPad! Gather your friends!! More players == more fun! The game mechanics and controls are simple and easy to learn. This game is fun for people of all ages! Aliens have invaded Antarctica as it has no government and appears vulnerable. However, they didn’t count on Power Penguins being present. Join the Power Penguins in their efforts to drive the aliens out of Antarctica, then fight them across the globe as they flee from the Power Penguins, hopping from country to country around the world. Hearing, let you test your hearing age by listen sounds. Checking whether you hearing age equal to your real age. Let’s try iHearing. Get2Know the best way to learn! Learn, explore and test your way to a comprehensive understanding of the foundations of our business economy with Get2Know. This app contains clear and detailed content, a carefully designed structure and multiple ways to learn. Get2Know has been created for students revising for exams, interview candidates, prospective students, would be business owners, and in fact for anyone who simply wants to Get2Know. Genius Scan+ turns your iPhone into a pocket scanner. It enables you to quickly scan documents on the go and email the scans as JPEG or PDF. The Blacklist The application has a use as simple as effective, if you want to remind you to recover your money.With it you can not forget about losing your accounts, of any kind! In its simplicity, it contains all in one screen.– At the top there are fields to the inclusion of name and money that has to be taken or to be given, which is managed by the negative and positive signs. Atom in a Box is an aid for visualizing the Hydrogenic atomic orbitals, the three-dimensional states that the electron occupies in Hydrogen, a prime and otherwise unwieldy example of Quantum Mechanics. It interactively shows what the Hydrogen atom “looks” like. Unique among visualizations of Quantum Mechanics, it uses highly optimized code to perform 3D volumetric raytracing through the electron wavefunction’s probability density and presents its results in real-time. It animates and mathematically describes all 140 eigenstates up to the n=7 energy level. The app links to an online FAQ, and the atom rotates with multitouch and the accelerometer. The bottom line is: Explore! The user are meant to explore all aspects of the atom, what it is and what it can do. Sygic is a voice guided GPS navigation app. It’s packed with TomTom maps and a robust set of navigation features. Both app and maps are updated for free. Maps are stored on the phone for offline use. Sygic is trusted by millions of customers around the globe. 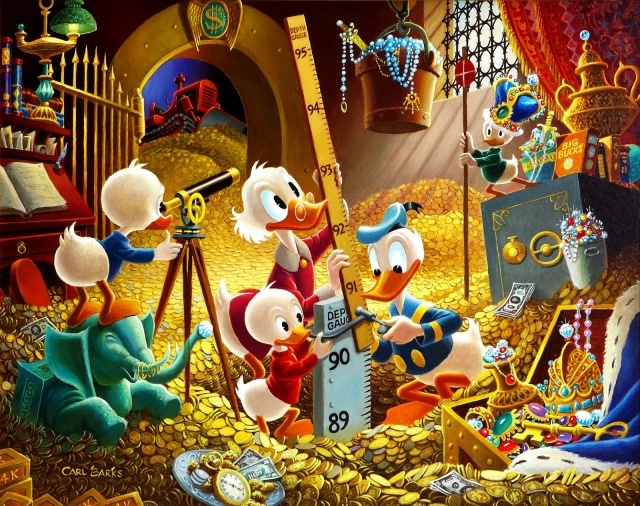 Careful planning is fundamental to success of any business at any stage. My Marketing Plan app is a key publication in a series of business, entrepreneurial, professional and educational reference tools, that is designed as a companion tool for the professionals that need to have a comprehensive reference on the essential marketing knowledge for creating an effective marketing plan. The goal of this app is to assist you at any stage of the business marketing lifecycle by creating a clear and precise marketing plan. My Math Tutor app is designed to prepare you for basic to college level math tests. This app is the essential educational preparation that covers all the necessary topics in Math. The cost of the app is subsidized substantially in order to become affordable for academics and students (Compare to $50 at retail price). For your convenience you can easily copy and paste any part of the texts and save, email or text the captured information. (No restrictions whatsoever). This app is tested and optimized to work with all versions of iOS including new features of iOS 4.0. Burn some plants! Flame some zombies! This wrapped in a little bit candy graphics, not so serious shooter will let you turn to ashes a lot of it.Two sticks controller, one for run, one for shoot plus one more, but not less important, button for jump is just perfect to do what needs to be done. Aviators throughout the world use the Global Positioning System (GPS) to increase the safety and efficiency of flight. With its accurate, continuous, and global capabilities, GPS offers seamless satellite navigation services that satisfy many of the requirements for aviation users. Space-based position and navigation enables three-dimensional position determination for all phases of flight from departure, en route, and arrival, to airport surface navigation. The ultimate Clothing Assistant! The most informative clothes app in the App Store. Impression HD is a collection of more than 900 paintings by 14 the most prominent impressionists and post-impressionists. Here you will find the best works of Alfred Sisley, Van Gogh, Camille Pissarro, Mary Cassatt, Claude Monet, Paul Gauguin, Paul Cezanne, Edgar Degas, Auguste Renoir and others. Using your Google Analytics account this application shows the most important web analytics metrics and all goals of your website on one single dashboard. You won’t have all the Google Analytics metrics on your iPhone – but the ones the are important from a management point of view – especially the Google Analytics goals and goal values. In addition, a ‘Performance Index’ is automatically calculated, that shows your website performance today, this week and this month (or previous periods) in one single number. Even more, the index is indicating in red or green whether your website is on track or not. System Status is the ultimate application for monitoring and optimizing your device’s performance. It provides information starting from the most basic device status parameters such as battery and disk usage, network connections and carrier information, and ending with advanced system data such as kernel version, memory page statistics, routing table, system log and CPU cache information.